residents at risk for lead exposure. 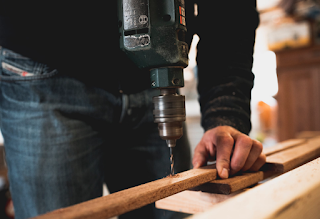 Earlier this week, the U.S. Environmental Protection Agency (EPA) settled with two California-based construction companies for violations of federal lead paint laws. Seismic Retrofitters, Inc., located in San Francisco and All Seasons Construction, located in Oakland are set to pay $27,000 and $8,500 in penalties, respectively. EPA's RRP Rule requires contractors working in housing or child-occupied facilities built before 1978 to adhere to strict renovation rules in order to protect workers and residents from lead paint exposure. Exposure to lead-based paint can cause a myriad of health issues such as bone, blood and neurological disorders. Lead exposure is particularly dangerous for children as their systems are still developing and any interference can cause irreversible outcomes. Lead-based paint has been outlawed at the consumer level since 1978; however, many old buildings still contain the toxin. Unregulated renovations can release lead particles into the air, soil, and water supply. As a result, it's extremely important for all contractors to take precaution when disturbing structures that may contain lead. "Reducing childhood lead exposure and its health impacts is a top priority for EPA. We will continue to diligently enforce our requirements to ensure children, workers, and residents are properly informed and protected," Mike Stoker, EPA Pacific Southwest Regional Administrator, said in a recent press release. To learn more about the report, visit EPA's website. To learn more about lead paint certification and how your company can avoid costly fines, visit Zack Academy. continues to be at the forefront of construction and design. Earlier this month, the United States Green Building Council (USGBC) announced its annual Top 10 States for LEED. 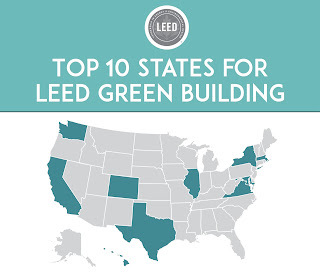 The list showcases states with significant growth in green building and sustainable design. 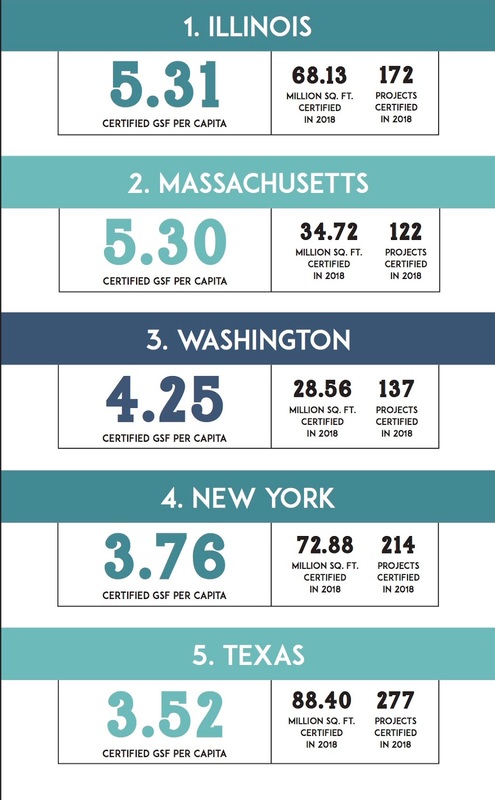 For the year of 2018, Illinois ranks first in the nation for the most square footage of LEED-certified space per person. Illinois has been a leader in green building for some time; the state previously took home the top spot in 2015. This year, Illinois' projects such as the LEED Gold certification of the Willis Tower has helped reduce waste and carbon pollution while creating healthier, more affordable environments for its citizens. Recently, Illinois celebrated Chicago reaching its Better Buildings Challenge in just five years; the windy city reduced its energy usage by over 20 percent through improved design and an inclusive approach to energy efficiency. LEED, or Leadership in Energy and Environmental Design, is one of the most popular rating systems used to guide construction and development across the globe. LEED certified projects have a commitment to reducing waste and using sustainable, eco-friendly designs. 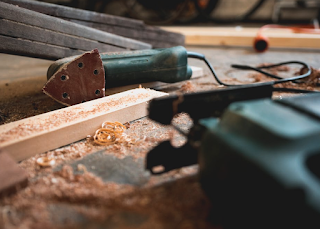 A tenant of LEED is making use of existing materials, and Illinois exemplified this through its Retrofit Chicago program which renovates old buildings and increases their overall building performance. Other states trailing not far behind Illinois include Massachusetts and Washington. 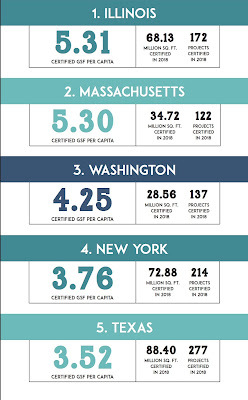 Altogether, the United States completed nearly 3,000 LEED projects in 2018 for a total of more than 615 million square feet of both commercial and residential space. Overall, LEED and other affordable green building initiatives are becoming more popular in the United States. 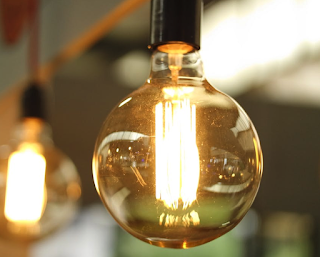 Beyond a macro level, consumers increasingly want the energy savings that come with sustainable housing. 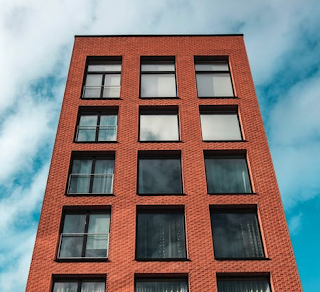 Local governments are also realizing the potential of LEED with some states choosing to refit their affordable public housing with improved sustainable design. To view the entire USGBC Top 10 List, visit their website. To learn more about LEED and how to become accredited in this exciting industry, visit Zack Academy. citations issued after January 24. 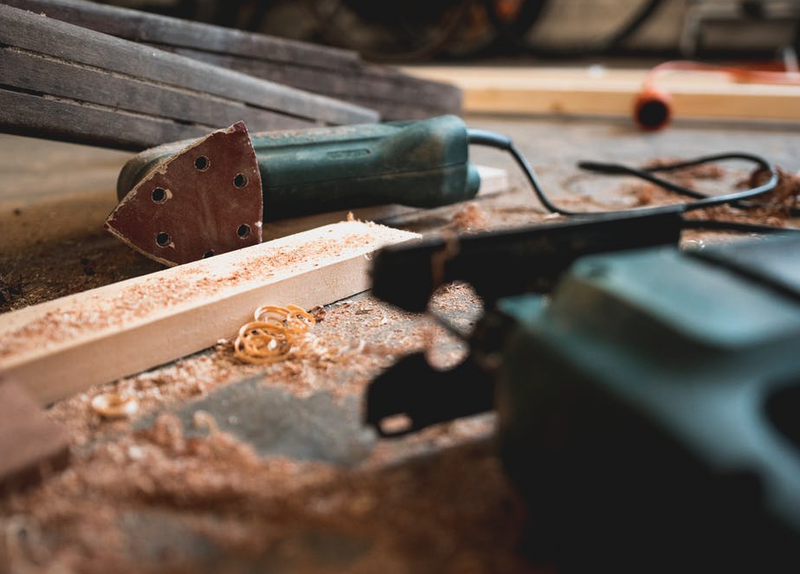 Earlier this year, the Occupational Safety and Healthy Administration (OSHA) raised its maximum penalties against employers for safety violations. Fines increased across all classes of penalties, and will apply to all citations issued after January 24. Under the Federal Civil Penalties Inflation Adjustment Act Improvements Act of 2015, civil penalties across federal agencies are required to adjust fines annually to keep up with inflation. In 2016, OSHA penalties increased by 78 percent to bring the penalties up to date; this year, OSHA penalties increased by 2.5 percent. Contractors and construction supervisors can avoid fines by first making sure they have appropriate OSHA training. From there, educating themselves on the most common OSHA fines can help with overlooked violations. It's also important for employers to be aware of OSHA deadlines for posting, reporting, and training; failure to post or submit records can carry penalties of $13,260. To learn more about OSHA penalties, visit their website. To learn more about OSHA training, visit Zack Academy. Zack Academy offers the best in-person and online vocational training. Last week, the National Center for Healthy Housing (NCHH) announced a funding opportunity to help American communities fight lead poisoning. Through their lead poisoning prevention grants, NCHH will help at least eight communities tackle childhood lead poisoning locally. NCHH's lead poisoning prevention grants will equip communities with the education and resources they need to build up a lead paint task force. 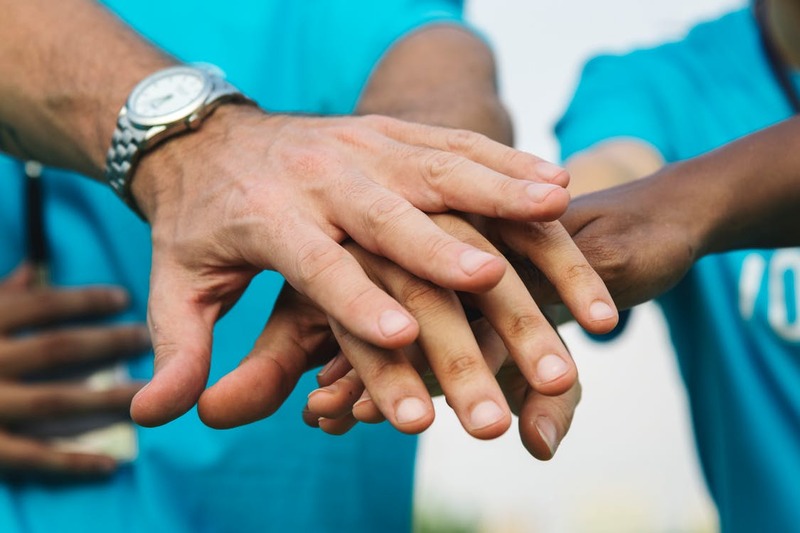 Specifically, the grant would provide over a year of training and support from a network of national experts such as NCHH and the Environmental Defense Fund. Communities would learn how to create effective policies and lead-safe practices through expert mentoring as well as peer-learning with other selected communities. The grant also awards the community $25,000 for lead poisoning prevention and a customized cost-benefit analysis to help leaders decide which strategies work best for their community. The grants serve as an opportunity to address health inequities in undeserved communities where lead poisoning is common. Statistically, low-income communities are disproportionately affected by lead exposure. Smaller low-income communities often don't have the resources to fix pervasive lead contamination. County, local, and tribal government agencies are able to apply for the grant until March 22. Communities will be selected based on demonstrated need, potential for policy change, and a thoughtful plan with clear goals for the funding opportunity. To learn more about NCHH's 2019 Lead Poisoning Prevention Grants, visit their website. To learn more about lead paint certification and how to get involved in lead abatement efforts as contractor, visit Zack Academy. over the costs and process of a single apartment's lead abatement. 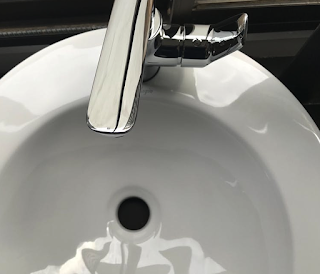 In Connecticut, lawmakers and public health officials are engaged in a debate of the possible mismanagement of public funds for lead abatement. The city of New Haven spent $32,000 on the abatement of a single apartment. According to the New Haven Public Department, the abatement was a court-ordered, emergency procedure that was successfully completed; however, lawmakers assert that the project was too costly, too slow, and a symbol of the inadequate response to a growing lead poisoning crisis in Connecticut. The clash centers around a New Haven apartment, which was recommended for lead abatement in August 2017 after a child tenant tested positive for lead. According to New Haven Health Department officials, Connecticut Supreme Court ordered the health department to take over the project in July 2018 and relocated the child tenant and his family to a nearby hotel for the rest of the project. Between the relocation and the abatement, the total cost of the project amounted to roughly $62,000. "Nothing was out of the ordinary [about the project]," Paul Kowalski, New Haven City Director of Environmental Health, said in a recent press release. Lawmakers and advocates disagree. At a City Hall committee hearing, legal aid attorneys from the New Haven Legal Assistance Association (NHLAA) raised the question of why the abatement process took a full year to complete. "What we're looking for is an open and transparent conversation," Amy Marx, NHLAA attorney, said in a recent press release. City officials were unable to directly answer why the abatement process took so long. They were also unable to clearly answer why the project ended up in litigation and resulted in a court-ordered emergency abatement. Regarding the steep project cost, city officials state that the apartment is located in a historic district so the abatement work had to meet certain standards set by the State Historic Preservation Office. Furthermore, the city put a lien against the property after the abatement to recoup the costs. The property was sold for $210,000 which reimbursed the city for the project costs. "The property was sold, and the city was paid in full for all the money that we put up for the abatement and for the relocation," Frank D'Amore, Deputy Director of the New Haven Livable City Initiative said in a recent press release. Legal advocates are still concerned over the high price tag, which they imply came from the eleventh-hour abatement. A slow and inconsistent response, they allege, is fueling a lead poisoning crisis in New Haven. The child tenant in question tested at 6 micrograms of lead per deciliter of blood back in August 2017, which is already one microgram higher than the federal blood lead level response trigger. By July 2018, the child tenant reached 17 mg/dL. NHLAA reviewed data from the Connecticut Department of Health and said that there may be more than 350 children in New Haven suffering from lead poisoning in similar situations. The New Haven Health Department has previously come under fire from three separate state judges. In the past, the city was nearly held in contempt of the court for its inadequate lead paint inspections, its failure to keep electronic records of its lead paint related notes, and its failure to follow up on the status of abated properties. To learn more about the committee meeting, visit the original article in the New Haven Independent or read the minutes from the New Haven Registrar. To learn more about lead abatement and how to get involved in this important field, visit Zack Academy.